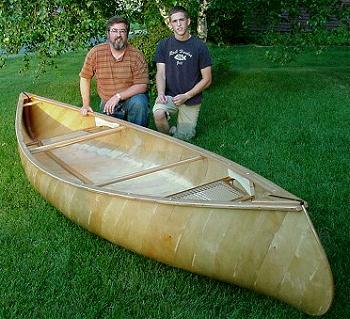 These are the two builders of the 15' Chippewa: Tom Mills (left) and Jeff Mills (right). We're very pleased with how it turned out and are anxious to launch it. Launch day is here. 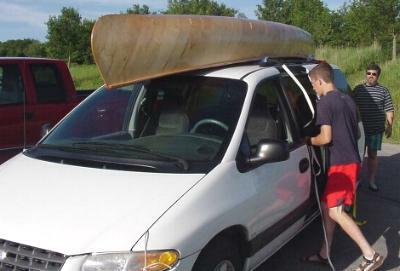 We loaded the canoe onto the rooftop of the minivan, and drove to the lake.